If you’re curious about studying in Sweden next autumn but don’t know where to start, look no further: here’s your guide to the process. Your first step is to get acquainted with the Swedish university system and the different options you have available. See Higher education in Sweden – the basics for a basic overview of what it’s like to study here and Degree programmes for a more in-depth look at your options. Once you have an idea of the basics, read up on the different universities in Sweden and consider what type of school would suit you the best. And make sure to check out the student blog to find what current international students think of living and studying in Sweden. over 1,000 programmes at bachelor’s and master’s level that are offered in English in Sweden. You can also find programme listings at universities’ own websites. You can choose up to four master’s programmes or eight bachelor’s programmes to apply for in each application round. The full list of programmes starting during the autumn 2018 will be available on 1 December 2017, though most universities post their programmes starting in October. While you’re waiting for the full list, you can browse through last autumn’s offering to get an idea of what will be on offer. Once you’ve chosen a few programmes that you’d like to apply for, it’s time to start preparing your application. At www.myflyup.com you’ll find full application guidelines, including information on all of the documents you’ll need to include with your application. If you’ll be proving your English proficiency with a TOEFL or IELTS test and haven’t yet taken the test, make sure to book a time well in advance of the application deadline so that you receive your results in time. See How to apply – bachelor’s level. Many organisations offer scholarships for international students, as do most Swedish universities. If you’re looking for a way to fund your studies, it’s a good idea to start investigating options before you turn in your application so that you can be sure to meet any application deadlines. Some scholarships may only be offered for specific programmes – another reason to read about what applies before you turn in your application. The application deadline for programmes starting autumn 2018 is 15 January. It’s always a good idea to turn in your application a few days early to avoid last-minute stress! Supporting documents and your application fee (or proof of exemption) are due by 1 February. There is a two-step application process for the Swedish Institute Study Scholarships, which are available for for master’s students from developing countries. If you’re planning on applying for a Swedish Institute scholarship, make sure to apply in time. The application period is open 2-9 February 2018. Keep in mind you will need to send in your programme application by the 15 January deadline. Håll tummarna is the Swedish way of saying cross your fingers! If you apply by the 15 January deadline, you’ll receive your notification of selection results in April 2018. Then comes the fun part: accepting your offer, getting ready and moving to Sweden! Good luck – and let’s get started! Swedish universities offer bachelor's, master's and PhD degrees in accordance with the European standard. Degrees in Sweden are generally offered at three levels: bachelor’s (undergraduate), master’s (graduate) and PhD (doctoral). Sweden uses the European Credit Transfer and Accumulation System (ECTS), where one academic year of full-time studies is equivalent to 60 ECTS credits. Please note that for some programmes, mainly within the fine arts, application procedures and deadlines may vary. Always consult the university’s official website for programme-specific application guidelines. The first step to applying for a bachelor’s programme is finding the perfect one. Search programmes for the next application round.. Programme listings are also offered directly at the websites of specific universities. You can apply for up to eight programmes per application round. Programme-specific entry requirements are given on each programme’s webpage, which you can access directly through the programme’s listing on this website. If you are currently completing your final year of upper-secondary school (high school), please also see www.myflyup.com information for students in their final year of upper-secondary school. Also check relevant application dates and deadlines for the upcoming semester. The application deadline for programmes beginning in the autumn semester is usually mid-January. Applications are made through the portal www.myflyup.com, a central application service where you can apply for up to four different programmes at different universities around Sweden with one application. Students who are not citizens of the EU, EEA or Switzerland are required to pay an application fee of SEK 900 along with their application. Visit www.myflyup.com for full details on how to apply and to submit your application. After the deadline passes, your application will undergo a selection procedure determined by the individual university and based on various criteria, such as grades obtained and results of previous courses and degree projects. All of these will influence the outcome of your application. The decision on whether to accept an applicant rests with the academic institutions themselves. You will receive your admission results – the Notification of Selection Results – on www.myflyup.com on the date relevant for your application round. If you’re not a citizen of the EU, EEA or Switzerland you will also be required to pay the first instalment of the tuition fee (often the first semester’s tuition) at this point. Students who are citizens of countries outside of the EU/EEA planning to study in Sweden for at least three months will need to apply for a residence permit for studies in Sweden. As the application process for residence permits can be lengthy, you should apply as soon as you have received your notification of admission. See Residence permits and visas for more information on applying for a residence permit for studies in Sweden, as well as information for citizens of EU/EEA/Nordic countries and Switzerland. Once you’ve been accepted to a programme and your residence permit has been processed, check out our guide to living in Sweden for information on how to prepare for your stay. Your university’s international office can also offer tips and advice. Tuition fees, living costs and other expenses: what to budget for when planning your studies in Sweden. Planning your budget is an important part of preparing to study in Sweden. Here’s an overview of the different costs you should include in your budget. Application and tuition fees apply for students who are not citizens of an EU/EEA/Nordic country or Switzerland studying at the bachelor’s or master’s level. The application fee is SEK 900. This fee is paid as part of your online application. Tuition fees in Sweden vary depending upon the subject though the average fee for master’s programme is SEK 129,000/year while bachelor programmes are generally less expensive. A standard range of tuition fees for various subjects is shown below though the exact level may vary. An average monthly student budget is about SEK 8,000 per month. Of course, your costs will vary depending on where you live and your personal preferences. Read more at Cost of living and on the student blog. Students usually join the local student union for a small membership fee. This gives you access to various student activities and student discounts. Fees range from SEK 50-350 per semester, depending on the union. Your relevant student union can provide information on membership fees and benefits. On average, expect to spend about SEK 750 per month on textbooks. In some subjects, like law and natural sciences, this figure is likely to be higher. Many student unions organise book sales where students can buy used textbooks cheaply; it’s also common for students to post notices on campus selling their used copies of previous years’ textbooks. Websites for buying used textbooks are also popular. The basic structure of Swedish higher education. 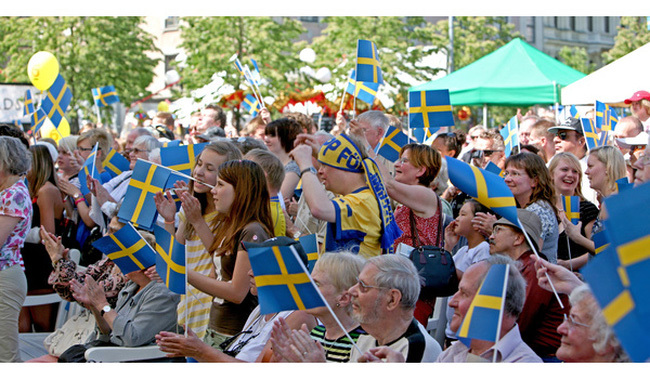 The Swedish higher education system is similar to that of other European countries. Here are the basics! Swedish universities offer degree programmes according to the European standard. This includes bachelor’s, master’s and PhD programmes. Bachelor’s programmes, also known as undergraduate programmes, take place after upper secondary school (high school) and are usually three years long (180 ECTS credits). Master’s programmes, also known as graduate programmes, build upon the knowledge developed during bachelor’s-level studies and can be one or two years long (60 or 120 ECTS credits). Programmes and courses: what’s the difference? A degree programme at a Swedish university is made up of a number of courses in a particular field of study leading to a specific degree. Courses, sometimes known as modules in other countries, are the building blocks of each programme. Each semester, programme students follow one large course or several smaller courses. Instead of applying for a full degree programme, it’s also possible to apply for admission to some courses directly. When you apply for and enrol on a course rather than a programme, you are only registered for that specific course. When you apply for and enrol on a programme, you will then register for many courses over the duration of your programme. You enrol on a two-year master’s programme made up of four semesters of study. During each semester, you take four courses for 7.5 ECTS credits each, for a total of 120 ECTS credits for the programme. You enrol on a one-year master’s programme made up of two semesters of study. During each semester, you take one course for 30 ECTS credits, for a total of 60 ECTS credits for the programme. You enrol on a 30-credit course in a subject you’re interested in. You take only that specific course and must turn in a new application if you wish to take additional courses. Degree programmes usually contain a mix of compulsory, recommended and optional courses. Autumn semester begins at the end of August and lasts until mid-January, usually with a short break at the end of December. Spring semester runs from mid-January to the beginning of June. Full-time studies in Sweden correspond approximately to a 40-hour week, though you may only have a few hours of lectures or seminars each week. The rest of your time is spent reading and working on group projects and other assignments. You’ll often take only one course at a time for a period of several weeks, after which an examination is given directly. After the examination, a new course begins. For instance, during a 20-week semester, you might take four courses in a row for five weeks each. In some programmes, you might instead take several courses at the same time, with an examination at the end of the semester. The structure of individual courses varies with the subject area. Technical programmes often include a high proportion of classroom and lab hours, whilst courses in the social sciences may involve fewer classroom hours and more independent and group work. Courses usually include various types of meetings, including lectures, seminars and laboratory sessions with varying group sizes. Seminar groups can be as small as a few students whilst lectures can be up to a few hundred. The aim is to develop critical thinking and collaborative skills, and students are expected to be active participants in all forms of meetings. Required reading and independent work is usually extensive, regardless of your field of study, and students are expected to come well-prepared to class. Examinations usually take the form of written or oral tests, laboratory work, group work or special projects. Most programmes conclude with a degree thesis or project. Two slightly different terms are used in Sweden to describe institutions of higher education: university (universitet) and university college (högskola). The main difference is that universities have the right to award PhD degrees while many university colleges don’t. However, some university colleges do offer PhDs. There is no difference in the bachelor’s or master’s degrees offered by universities and university colleges, and many university colleges are called ‘university’ in English. As an international student, your experience will be similar regardless of whether you choose to study at a university or university college. Calculate the live currency and foreign exchange rates with free currency converter. You can convert currencies instantly. I recmonded you Currency calculator app through this you get more results about Money converter .